From his spot on the sofa, Sherlock listened to half of the phone conversation going on in the kitchen. Sherlock smirked to himself. It was about a case. John had been in contact with Lestrade off and on for over a month, showing alarming interest in finding Sherlock a case rather than just waiting patiently for one to appear, as he usually advocated. Sherlock was not sure why. It wasn’t as though Sherlock’s mood had been particularly black. They had even had a few small cases during the month, and yet John did not seem satisfied. It was unlike him, which was slightly worrying, because it WAS very much like Sherlock. John was supposed to not be Sherlock, that was something that Sherlock rather liked about John – as much as he liked himself, he imagined that he must be rather horrible to live with, and he didn’t much fancy trying it. Furthermore, Sherlock wasn’t quite sure if he liked John becoming this odd middle-man between Lestrade and himself. Usually, Lestrade brought all cases to Sherlock directly, but in the past month, Lestrade had always called John first. “Sherlock?” John spoke from the kitchen doorway, as though Sherlock hadn’t been listening. “It’s a ten in my books,” John muttered – and that was definitely odd, because unless Sherlock was mistaken, and Sherlock was never mistaken, John was nervous. “A ten?” Sherlock turned his head finally from his study of the ceiling and sat up. Sherlock studied John, but he seemed to be telling the truth, or at least believed he was. Sherlock rose to his feet, grabbed his coat, and began to make arrangements for a car while they walked. Twenty minutes later, John was directing Sherlock out of London and towards.... Basildon. Sherlock acquiesced, if only to placate John, who seemed to be increasingly on edge. They finally arrived at a fairly large house on the outskirts of the city. It was already surrounded by police cars and a coroner’s van. “I would never have asked you to drive to Basildon for a petty theft,” John replied, offended. Sherlock smiled at him to show that he hadn’t believed otherwise. John really was acting odd. They were led though the house into the kitchen, and then surprisingly, the detective inspector ordered them to be left alone with the body for the full ten minutes. Sherlock barely paid attention to the police leaving – he was far more interested in the corpse on the tiled floor... or rather, what was coming out of it. 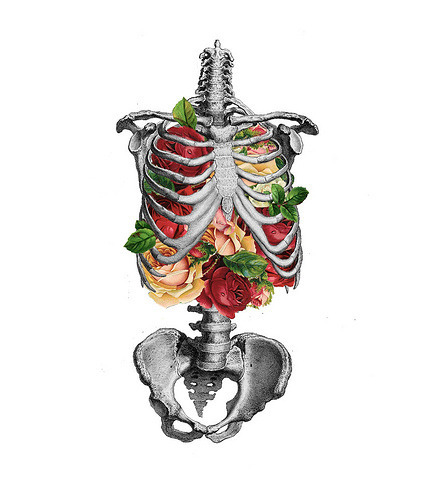 “He’s been disemboweled and filled with flowers!” Sherlock exclaimed. “Flowers,” Sherlock muttered, studying the corpse. He had seven ideas... no, six ideas... no, five ideas. “John, what can you tell me?” Sherlock asked. John knelt over the body and started confirming what Sherlock already suspected. Sherlock stood up and whirled around, stalking over to the windows that overlooked the back garden. Four ideas. He paced the room once, and then returned to the body. Two ideas. He inspected the corpse’s fingers. “That one’s new,” Sherlock said, turning around – only to find John holding out a simple gold ring. “Oh god, yes,” Sherlock whispered, and then bypassed the outstretched ring in order to grab John by the jacket and snog him until their ten minutes were up.